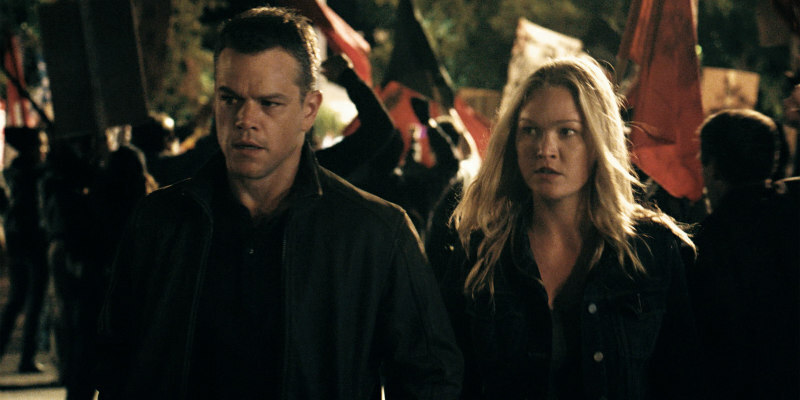 Series regulars Matt Damon and Julia Stiles are joined by Alicia Vikander and Tommy Lee Jones in a trio of new clips. Quite a bit of what may be the movie's two standout action set-pieces are featured in these first two clips, so if you want to go in fresh you may want to skip these. Paul Greengrass is back as director, so you might want to pull your chair back a ways from your screen lest you vomit on your keyboard - there's some serious shaky-cam here. This third clip is more low-key, one of those classic 'Bourne makes a phone call' moments, showcasing the characters played by Alicia Vikander and Tommy Lee Jones. Jason Bourne is in cinemas July 29th.